Hang it on the Tree or in the Nursery! 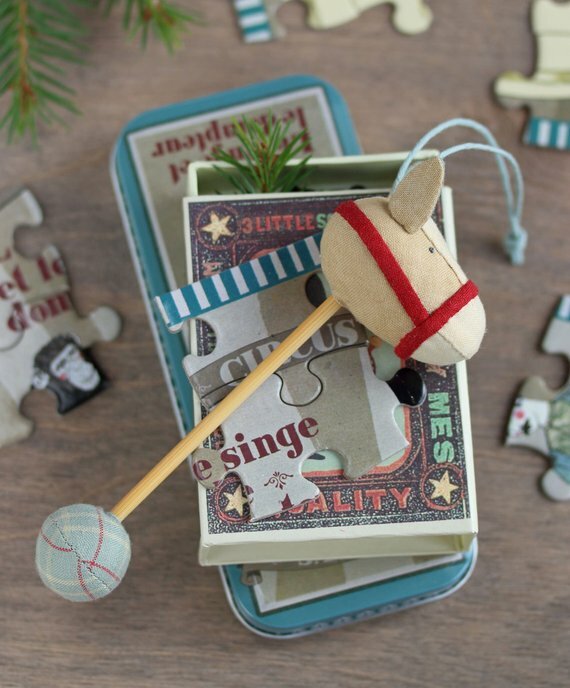 This darling little hobby horse makes a sweet ornament for your holiday tree. It also will be fun to use it to decorate wrapped gifts, especially baby quilts (use some of the leftover fabric so they match!). Firm stuffing gives the horse his cute shape. A piece of thin dowel or other wood works for the stick. While construction is quite straighforward, there is a bit of hand sewing involved. 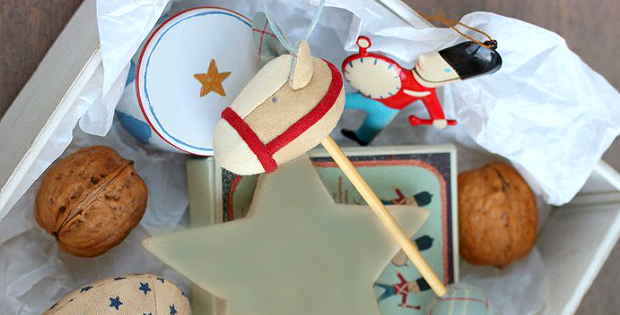 about 4 3/4″ h x 2″ w.
Click here to purchase the “Hobby Horse” pattern.